Lastimosa will be the lead assistant coach of basketball operations specialist for NBA Asia Chris Sumner who will run the camp. "It’s a great opportunity for me to be able to share my knowledge of the game once again not only with my countrymen but now outside of Manila. I'm not only representing Alaska Milk, I'm also representing the Philippines. I'm aware that we have Filipino players playing for Vietnam but being able to teach there firsthand is awesome," said Lastimosa. "My role in Vietnam will be the same as in the Jr. NBA in the Philippines. 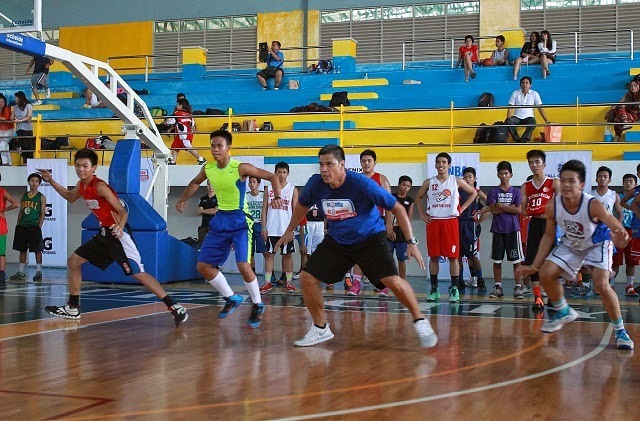 I will help organize the camp and teach the local coaches on the skill stations. The objective is the same in all Jr. NBA camps: to find the best 10-14 year old players. But the most important part really is making the Vietnamese aware of how beautiful this game of basketball is," said Lastimosa. According to the 7th National Nutrition Survey done by the Food and Nutrition Research Institute and the Department of Health, obesity is increasing with nearly two out 10 children considered as overweight. Through the program, Alaska leads in promoting a healthy lifestyle, especially among children, through regular sports activities and proper nutrition through its leading brands, Alaska Powdered Milk Drink and Alaska Chocolate Powdered Milk Drink.